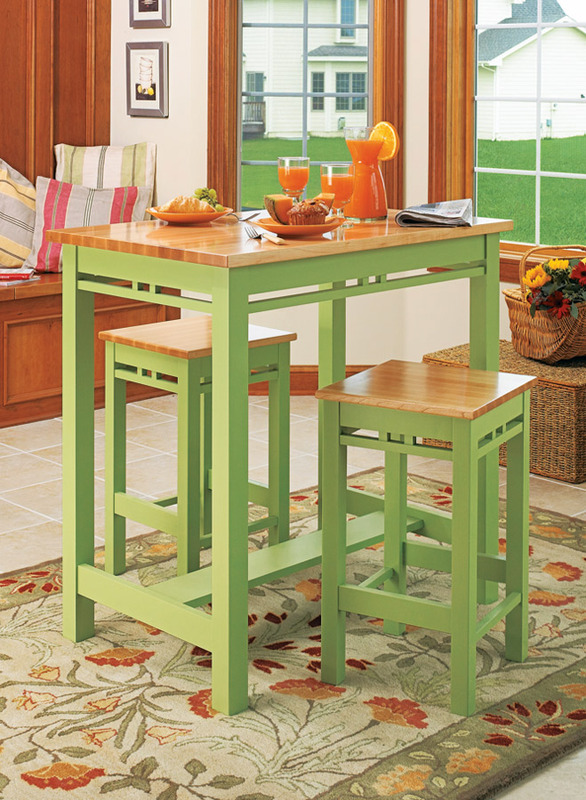 Whether you’re reading the morning newspaper over breakfast or sharing a relaxing dinner, this kitchen set will fit right in. This table has light, contemporary styling and it doesn’t take up much floor space. 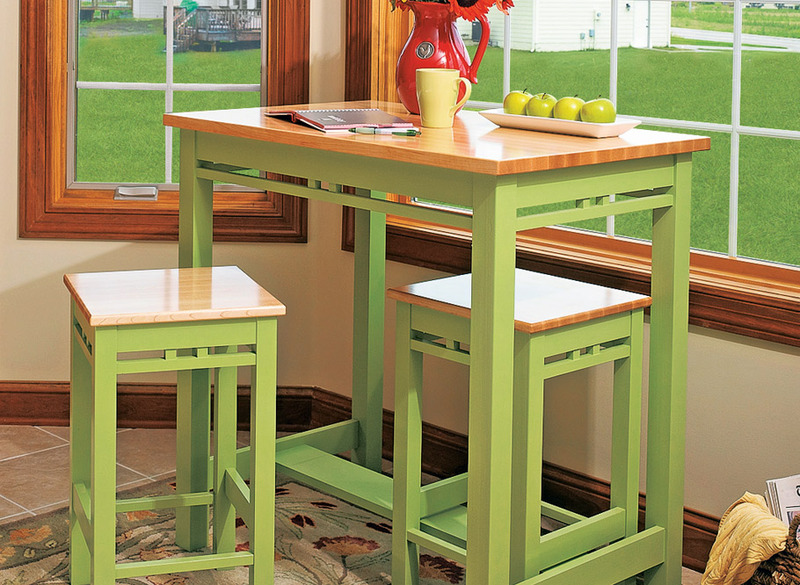 The rounded edges on the table and stool tops make them comfortable. 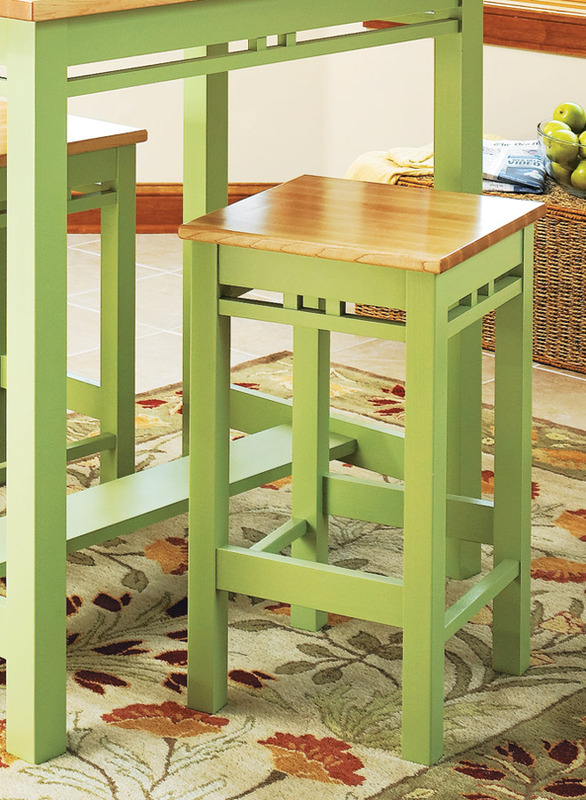 And the stools store neatly under the table in between meals to keep them out of the way (see photo, opposite page). There are several other reasons why I like this project. First is the way the table and stools are built. Mortise and tenon joinery makes them strong. And there aren’t any complicated angles to cut. Second, the bases are painted. This means you can keep the cost down by using an inexpensive hardwood like poplar. 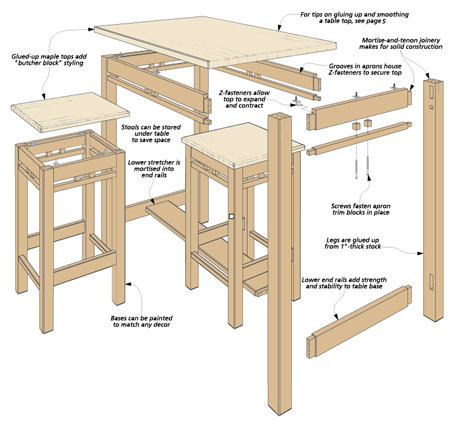 Finally, with just a few modifications you can make the work island shown in the plans. In any case, it’s a great fit for your kitchen.